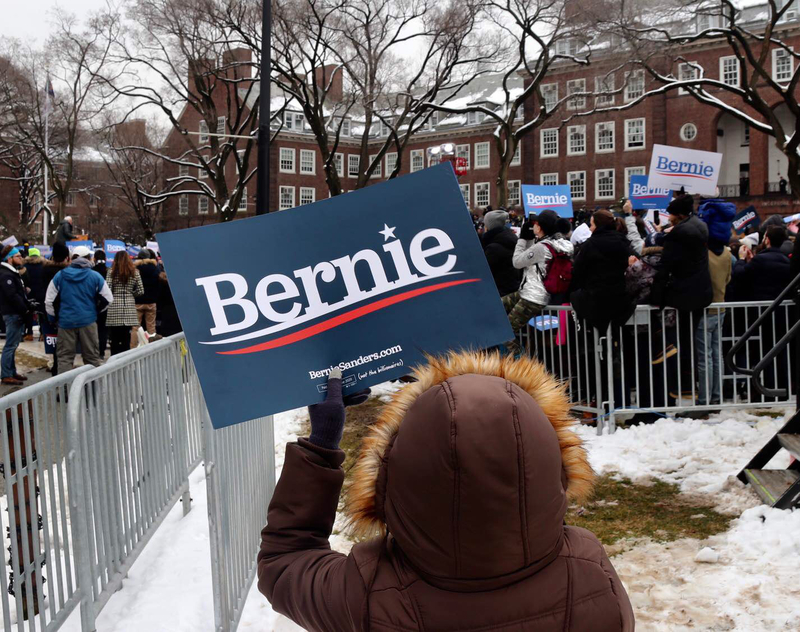 FLATBUSH — Thousands came out to celebrate Bernie Sanders’ presidential campaign kickoff Saturday in Midwood. Sanders announced his 2020 campaign on Feb. 19 and within days declared he’d launch his campaign in his hometown, Brooklyn. 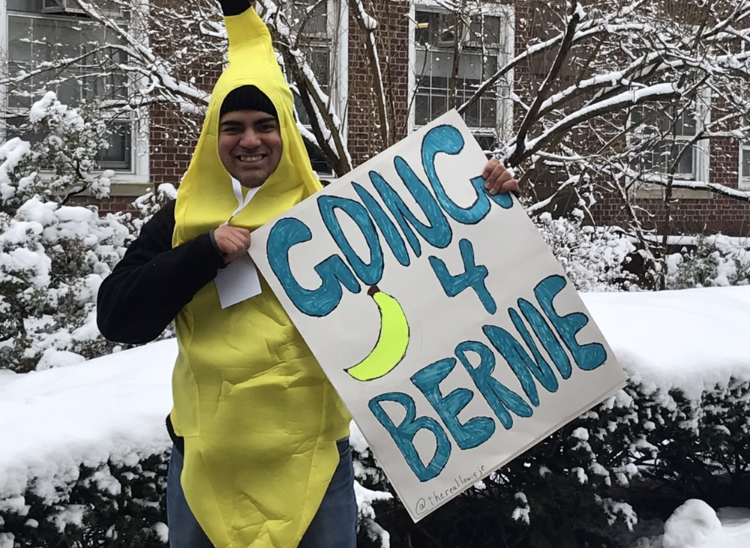 Supporters trudged through the slushy streets of Brooklyn—many before 8:00 a.m.—to cheer on Sanders, who in 2016 lost the Democratic nomination by 12 percent to Hillary Clinton. 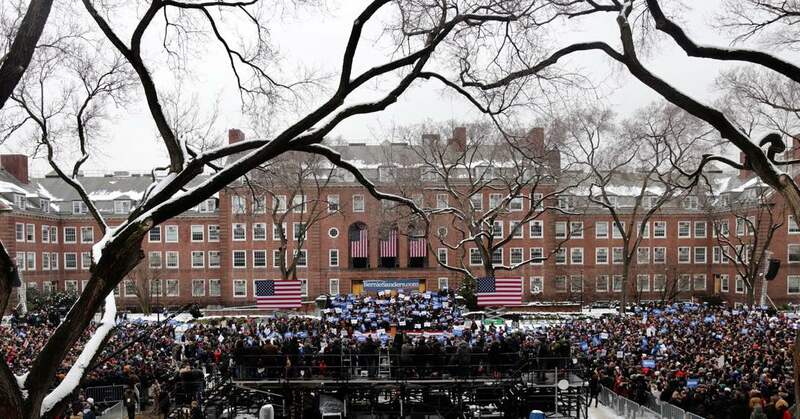 About 13,000 attendees filled Brooklyn College’s outdoor quad in near-freezing weather. Sanders attended the college for a year. “I know where I came from,” said Sanders, who grew up on E. 26th and Kings Hwy in a rent-controlled apartment. “And that is something I will never forget,” he said to an audience who broke out with chants of “Bernie, Bernie, Bernie”. The 77-year-old drew contrasts between him and President Donald Trump—another New Yorker from Queens—during parts of his speech. “I did not come from a family that gave me a $200,000 allowance every year beginning at the age of 3,” said Sanders, the son of an immigrant paint salesman from Poland. “As I recall, my allowance was 25 cents a week,” he added. 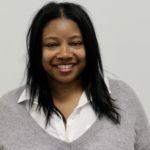 The burgeoning narrative of humble beginnings and early civil rights activism preceded Sanders’ speech when three speakers took to the stage, including, the Rev. Rep. Terry Alexander, State Sen. Nina Turner and journalist/activist Shaun King who introduced Sanders. “It’s his journey to this moment that makes me trust this man with our future,” said King, who noted Sanders’ father narrowly escaped the Holocaust while his two uncles an aunt and cousin didn’t make it. “And to come of age in that time and in that space, it gave Bernie a deep sense of right and wrong,” King added. King championed the senator’s activism pointing out that Sanders marched with the Rev. Dr. Martin Luther King, Jr., chaired the university chapter of Congress of Racial Equality C.O.R.E and led the first known sit-in at the University of Chicago to protest segregated housing on campus. This as black supporters peppered the predominantly white crowd in a borough with a population of more than 34 percent black residents. In Midwood, the neighborhood in which the event was held, the 31 percent black population was virtually absent on Saturday. Sanders struggled to secure the black vote in 2016 with Hillary Clinton dominating with nearly 76 percent during the primary. The senator is the twelfth of thirteen Democratic candidates to enter the 2020 presidential race. 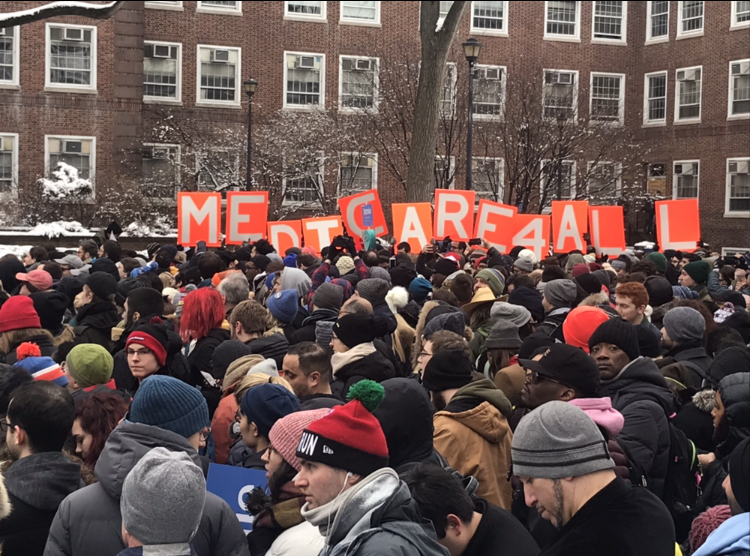 Similar to his last run, Sanders supports Medicare For All, free tuition for public schools, Social Security expansion and names climate change as an “existential threat” to the country. Within 24 hours of announcing, the senator raised $5.9 million from 220,000 donors. Sanders has now raised $10 million in his first week of annoucning. During his 2016 race, Sanders opened two Brooklyn campaign offices, one in Gowanus and Flatbush. Sanders headed to Chicago for the next rally. The senator spent the rest of his undergraduate years at the University of Chicago. The presidential candidate will head to Iowa next, spending March 7 through March 9 between Council Bluffs and Des Moines, Iowa. You can view the live feed here. Additional reporting by Zainab Iqbal.